Clinton owes her campaign to the people of color who have overwhelmingly voted for her, and her pick for vice president should recognize that. 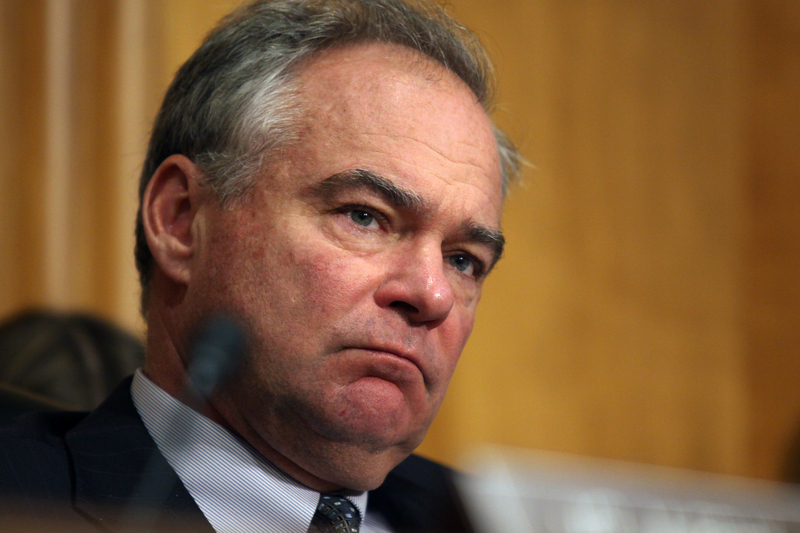 Let me first stipulate that I’m sure Virginia Senator Tim Kaine is a perfectly nice guy and by all accounts he is an able US senator. But choosing Kaine as the Democratic nominee for vice president would be an egregious political miscalculation and a personal insult to people of color across the country. The evidence from the past eight years clearly shows that the way to win in today’s multiracial America is to increase turnout of voters of color, and a Kaine candidacy would do little to inspire or mobilize the coalition that snatched down the “whites only” sign from the Oval Office in 2008. Given the fact that there is little mathematical justification for choosing yet another white guy for the second-highest office in the land, a decision to do so would be highly offensive to the millions of people of color who now constitute nearly half of all Democratic voters and to whom Hillary Clinton owes her nomination. The political calculus underlying a Kaine pick is antithetical to what we now know about how to win elections in a country that is rapidly getting browner by the hour. The incontrovertible evidence of the past eight years is that Democrats win only when there is large and enthusiastic turnout among voters of color, as happened in 2008 and 2012. When millions of voters of color stay home, as they did in 2010 and 2014, Democrats suffer devastating defeats. Barack Obama’s 2012 reelection—when he prevailed despite earning 5 million fewer white votes than he won in 2008—revealed the formula for Democratic victory. That formula involves hitting three critical benchmarks. First, enough voters of color have to turn out to amount to at least 28 percent of all voters. Second, the Democratic nominee needs to win the support of at least 80 percent of those voters of color. Third, the nominee must also maintain the support of at least 36.5 percent of white voters (the historical average since 1976 is 40.6 percent). In terms of voter preference, Clinton is currently close to gaining the necessary share of each racial group that she needs to win, but the big unknown is how many voters of color will actually turn out in November. In each of Obama’s elections, people of color were an increasingly larger share of the voters (26 percent in 2008 and 28 percent in 2012), and 2012 marked the first time that African Americans voted at a higher rate than all other racial groups. Clinton cannot count on a similarly enthusiastic turnout absent the compelling and historic presence of Obama on the ticket. Kaine cheerleaders argue that his selection could help solidify Clinton’s support among white swing voters (especially men) who may be drawn to Trump’s candidacy. Mathematically, however, that reasoning makes little sense. As the number of people of color in America has grown, the country has become increasingly politically polarized, and the ranks of white swing voters has shrunk to an historic low, according to Michigan State political science professor Corwin Smidt’s analysis of 60 years of American National Election Studies polling data. Smidt’s findings show that just 5 percent of voters in 2012 were swing voters. That translates to a mere 6 million people. For comparison purposes, there were 26 million people of color who were eligible to vote but didn’t in 2012. And this year there are 7.5 million more voters of color than there were in 2012. Since there is little empirical justification for a Kaine candidacy, the very idea that yet another white man is the current front-runner for the office of vice president is offensive. Voters of color—and African Americans in particular—are the most loyal and dependable voters in the Democratic Party. Historically, nearly 80 percent of people of color vote Democratic. Hillary Clinton owes her nomination to voters of color, as she lost the white vote to Sanders across the country 48 percent to 50 percent but received an overwhelming 71 percent share of the votes of people of color. Is choosing a (self-described) boring white man for the second-highest office in the land how you reward your most loyal supporters? Another, less discussed, aspect of the vice-presidential pick is that the person chosen will automatically receive a head start on the 2024 presidential race (assuming Clinton wins and serves two terms) by virtue of the national profile, access to donors, and relationships with party leaders across the country. With the exception of Joe Biden, over the past 56 years, the vice president in a Democratic administration has gone on to become the party’s presidential nominee in a subsequent election (Lyndon Johnson, Hubert Humphrey, Walter Mondale, and Al Gore). Blessed with a plethora of talented and qualified people of color, are the Democrats really going to give a head start and leg up to a white man? After 227 years in which 47 different white men have held the office, maybe it’s time to switch things up a little. This is reminiscent of the kinds of hiring, promoting, and funding decisions that have created a country where white men occupy nearly 90 percent of the top positions in most fields (politics, business, law, tech, media, science, academia, etc. ), despite the fact that white men make up only 31 percent of the country’s population. After hundreds of years of this course of conduct, people of color are sick of it. I know I am. Historically, the dynamic between white leaders and people of color demanding justice and equality has involved white leaders telling people of color to be patient and wait for change. But given the intensity of racial inequality in America and the hunger for true justice and full citizenship and participation, people of color are tired of waiting. With each new video that surfaces showing yet another African-American man or woman being gunned down by law enforcement, Clinton’s burden to prove she truly believes that black lives matter grows increasingly heavy. She will need more than a typical white male politician to help her overcome that burden and genuinely connect to a community in pain and anger. In the face of such an existential threat, timidity, caution, and calculation are of little use or benefit. This is a time for choosing. Trump has unleashed an ugly and bigoted movement rooted in racial resentment. The way to fight back is to stand strong, double down, and accelerate the march toward an increasingly multiracial and equitable America. Returning to the days of all-white presidential tickets with white male vice presidents would be going backward, not forward. Even choosing someone like Massachusetts Senator Elizabeth Warren, while not having the same cultural connection as a person of color, would at least represent a doubling down on the demographic changes that Trump’s movement is seeking to roll back. Given all that people of color have given to and earned from this country—and this Clinton—if Tim Kaine is put forward as the vice-presidential pick for the Democratic Party, it would be a serious slap in the face to people of color, their white allies, and all those who have struggled and sacrificed for racial justice and equality.